Here's 8 of the top contenders — but 2018 seems unlikely to match last year's diversity standard. It would be lovely to think that last year’s “Moonlight” Oscar wins presaged a long and permanent shift in Hollywood movie culture. At the heart of the Academy of Motion Picture Arts and Sciences’ complex diversity issue is how much the Oscars reflect the way that the Academy likes to view itself. That helps to explain why the Academy voters did far better with their 2017 Oscar nominations than the year before, when their 6,000 members failed to nominate any actors of color at all. The Academy’s recent diversity push added more younger and international members; its 7,000 voters are now 28 percent women and 13 percent people of color. But will the new membership shifts make a major impact on the 2018 Oscar nominations? Despite the new voters, the organization is still under the sway of its dominant demographic: older white males. “Steakeaters” are by far the largest Academy bloc, while its largest branch, the actors, is 50/50 male-female. Directors and craft branches lean more international; executives, producers, and publicists tend to be more mainstream. Bottom line: Academy members still have to be moved to watch movies like “Moonlight” in order to vote for them. 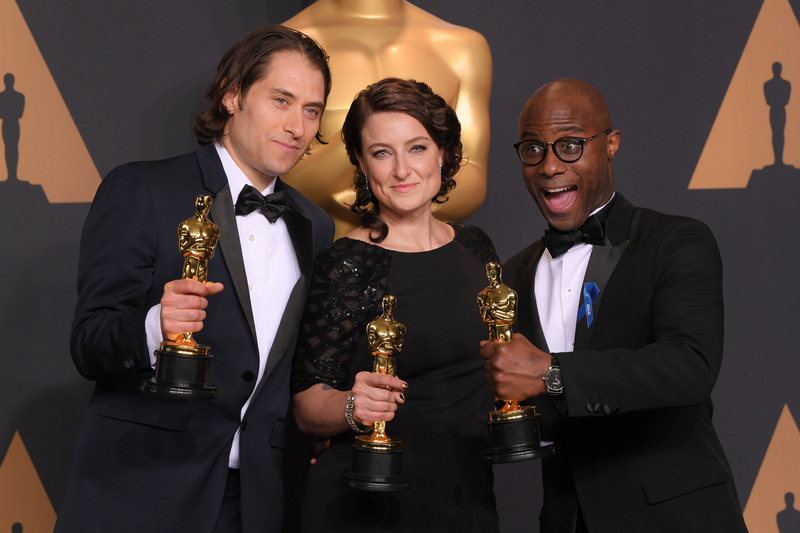 It’s hard to imagine that we will see anything close to a repeat of last year’s inclusive Oscar lineup, when seven actors of color were nominated (with wins for Mahershala Ali and Viola Davis) along with director Barry Jenkins (who shared the Adapted Screenplay Oscar with Tarell Alvin McCraney), editor Joi McMillon, cinematographer Bradford Young, four documentary directors and three producers. A low-budget February horror B-movie featuring “Girls” star Allison Williams, British import Daniel Kaluuya and supporting veterans Bradley Whitford and Catherine Keener is not made to order for an Oscar campaign. 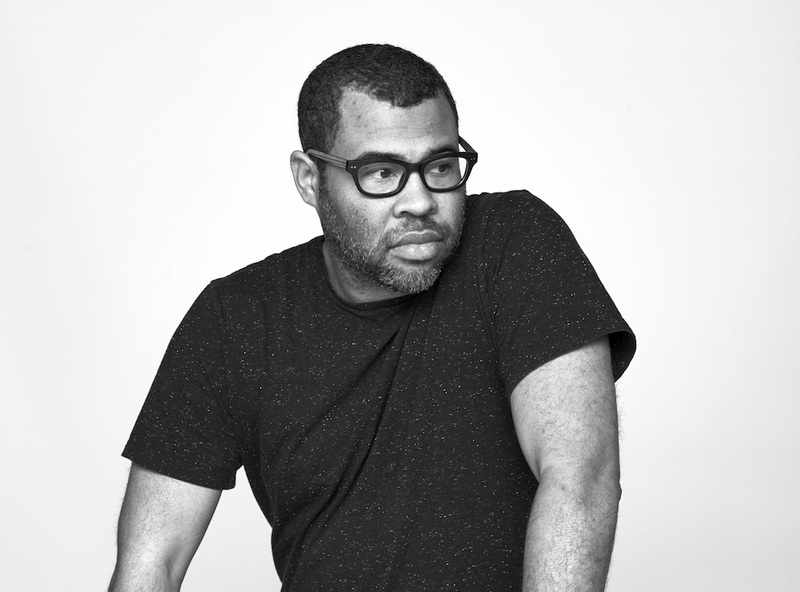 And no one is more surprised to be in the awards conversation than breakout writer-director Jordan Peele, who is developing seven more original ideas for his new Universal first-look deal. (Chances are, he’ll get more than $4.5 million to make them.) If Universal can position “Get Out” as a crossover movie with deeper thoughts on its mind, Peele has a shot at earning support from the Writers Guild and year-end critics groups as a writer and a director. While the overall Academy tends to be myopic and snobby about horror fare, the writers and directors do like to champion emerging talent, from Orson Welles (“Citizen Kane”) and John Singleton (“Boyz N the Hood”) to Benh Zeitlin (“Beasts of the Southern Wild”), even when the movie gets raunchy. Writers have nominated comedies “The Hangover,” “Bridesmaids,” and of course the exception to prove all rules, 1991’s horror flick “The Silence of the Lambs,” which nabbed five Oscars including Best Picture, Director Jonathan Demme, Screenplay Ted Tally, Actor Anthony Hopkins, and Actress Jodie Foster. More Oscar Chances: Picture, Actor. “Get Out” may not nail the Best Picture sweet spot. But it could get part of the way there. And with the Best Actor field looking wide open, if “Get Out” builds some momentum, Kaluuya could be in its sights too (although he’s more likely to collect promising newcomer awards along the way). Box Office: At $175 million to date (and an unexpected $78 million bonus overseas), “Get Out” is Blumhouse horror producer Jason Blum’s highest-grossing film (and his second Oscar contender, after “Whiplash”). Support: Universal Studios can afford to spend lavishly on this lowball home run. Besides, they want to keep producer Blum and writer-director Peele happy and comfortable (multiple festival appearances and Q&As are under way). Universal launched their Oscar campaign back in May with a DVD launch/awards party on the studio backlot’s Wisteria Lane to celebrate the horror comedy about suburbia gone very wrong. Photo Courtesy of MACRO, photo by Steve Dietl. The unrecognizable music icon and “Straight Outta Compton” star Mitchell pop out of the southern farm drama’s sprawling ensemble as ramrod mother and World War II veteran son; they are the most likely to land SAG and Oscar nominations for the acclaimed Dee Rees drama. The Gotham Awards gave the movie a special ensemble prize. More Oscar Chances: Picture, Adapted Screenplay, Cinematography. Streaming service Netflix scooped up the Sundance hit for $12.5 million and carries high awards hopes for drama adapted by Virgil Williams and Rees from Hillary Jordan’s 2008 historical novel about two farming families in the rural South. Set in the Mississippi Delta, the period feature boasts stunning epic cinematography by Rachel Morrison, who could become the first woman nominated by that branch. 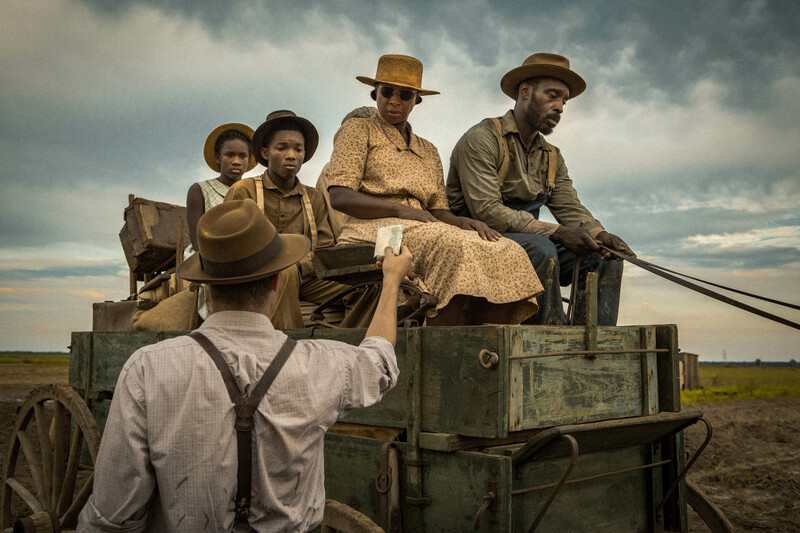 Box Office Potential: Theatrical grosses will be negligible, as “Mudbound” (November 17) marks Netflix’s next Hollywood frontier — disrupting the movie business, as the streaming service tries to hack some Oscar nominations without playing its day-and-date movies in theaters for more than a week (New York and L.A., home to the lion’s share of Academy voters, may get two). Netflix has pacted with iPics, a luxury theater chain in 16 cities, to book its runs. That isn’t necessarily for the audience; it’s to keep filmmakers happy, and for Oscar qualification. Support: So far, Netflix’s Oscar success has been limited to the documentary realm with nominations for features “The Square,” “Virunga,” “Winter on Fire,” “What Happened, Miss Simone?” and “13th,” as well as short “Extremis.” In 2017, “White Helmet” yielded their first Oscar win, for Best Documentary Short. Now Netflix is pushing its narrative features as well (and downplaying their Netflix origin), with “Mudbound” as their strongest shot after stumbling with 2015 release “Beasts of No Nation” (more on that below). The Oscars are still the ultimate quality benchmark and a useful global marketing tool for Netflix, whose chief content officer Ted Sarandos is an enthusiastic Academy voter who has twice run for the Board of Governors. (The executive branch denied him.) It remains to be seen if Netflix can successfully turn its would-be Oscar contenders into must-sees for Academy voters by hiring top Oscar campaigners, sending out screeners to members who already are subscribers, mounting events and Q&As, and playing the awards game. They are spending money. But many cinephiles in the hidebound Academy wish Netflix would recognize what they believe is its proper domain: television. 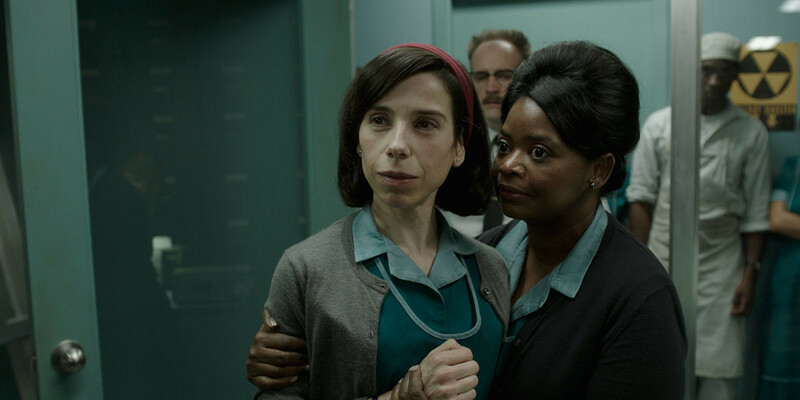 Octavia Spencer supports and translates for her mute janitor partner (Sally Hawkins) at an underground government laboratory. At this point twice-nominated Spencer is about as reliable a nod as you can get. More Oscar Chances: Picture, Actress, Supporting Actor, Director, Original Screenplay, Cinematography, Production Design, VFX, Editing, Score. Mexico-born writer-director Guillermo del Toro is beloved and this movie marks that magic sweet spot: personal yet stylish, cinematic, heartfelt. Actors will recognize Hawkins with a second nomination (she could win), actors’ actor Richard Jenkins as her gay best friend could squeak in there too, and the crafts will surely reward this evocative period creation with multiple technical nods. Box Office Potential: Fox Searchlight is taking the movie out limited December 1 in New York and December 8 in L.A. to maximize the openings via Q&As. This English-language movie scored raves in Venice, Telluride, and Toronto and is likely to far exceed Del Toro’s Spanish-language Oscar-winner “Pan’s Labyrinth,” which in 2006 boasted $37.6 million domestic, $49.4 million foreign, for a total of $87 million worldwide. Critics: Metascore: 87. Reviewers admire this gorgeously mounted romantic fantasy and will award it many prizes at year’s end. Support: Fox Searchlight knows what it’s doing and will push this all the way to the finish line. Actors, directors, writers, and crafts will all embrace this heartfelt movie made for cinephiles. Hong, who is of Vietnamese descent, is the best thing in “Downsizing.” She carries the movie’s emotion — and could score a nomination — if political correctness doesn’t hurt her chances. Alexander Payne’s eco-political comedy (December 22) is a sprawling and ambitious movie that falls into three sections: how Matt Damon’s near-future everyman decides to shrink down to five inches tall, the consequences of that decision, and how an intense Vietnamese activist changes his life. As a hobbled cleaning woman who takes care of people who need help, Hong decided to play the role by introducing, then subverting, the shrill and bossy Tiger-Mom cliche with quick bursts of simplified English. She is both hilarious and poignant. But Payne and Hong are also being attacked by people who don’t get the joke. More Oscar Chances: Best Original Screenplay. Box Office Potential: “Downsizing” played better in Venice than in Telluride. Some people love this urbane, sophisticated global dramedy that has much on its mind. Payne has to thread a tricky needle, weaving together a warm romantic comedy with an earnest eco-message. “Downsizing” is reaching for the high bar set by Oscar-nominated “Election,” “The Descendants,” “Sideways,” and “Nebraska.” All of these movies were accessible, relatable, hilarious hits that struck a nerve with the public. Post-hurricane season, “Downsizing” may also hit audience concerns about global warming and eco-sustainability. Nebraska-born Payne has often crossed over between the arthouse and the mainstream, and in today’s challenged marketplace, Paramount will need to figure out to nail that goal. Critics: Metascore: 74. Reviews so far are all over the place. But this ambitious movie could start to look more impressive as the rest of the field falls back. Support: Paramount will pull out all the stops for this holiday release. But showcasing it at festivals may not have yielded the dividends the studio had hoped for. Despite glowing reviews, Elba was denied his first supporting nomination for Cary Fukunaga’s well-received 2015 festival hit “Beasts of No Nation,” which Netflix released in theaters for a week day and date (domestic total: $90K). The violent war drama about child soldiers in Ghana led by Elba’s paternal general would have been a hard sell in any case. But Elba, who has won one Golden Globe, for UK TV series “Luther,” has built up considerable good will and could be building to a consolation prize. 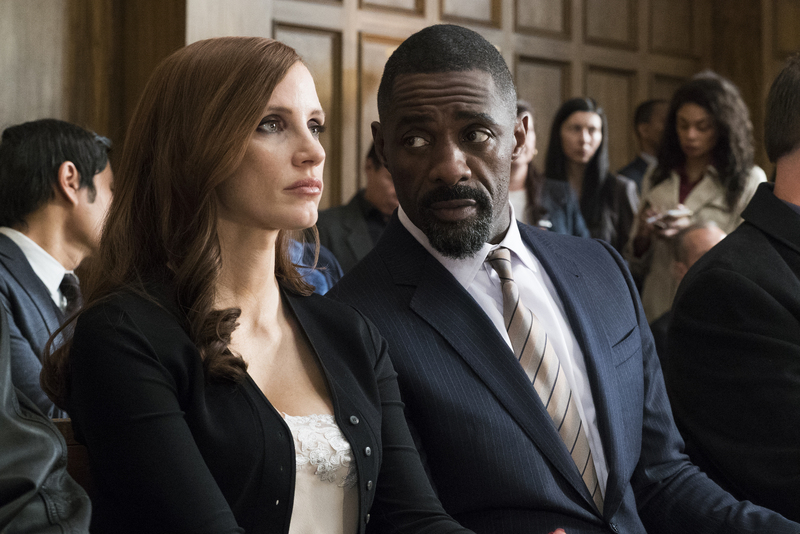 The question is whether his anxiously devoted defense attorney in “Molly’s Game” fits the bill. Other Oscar Chances: Adapted Screenplay, Actress. Oscar-winning screenwriter-turned-director Aaron Sorkin (“The Social Network”) is not to be underestimated; he adapted Molly Bloom’s truth-is-stranger-than-fiction gambling thriller starring twice-nominated Jessica Chastain (“The Help,” “Zero Dark Thirty”) as a brilliant skier-turned-high-stakes-poker-wrangler — she’s a long shot in this year’s overcrowded Actress category. Box Office Potential: A global movie icon, British star Elba is an asset for any commercial action movie. But mid-budget dramas are harder to swing at the box office. This year, Elba stars in two high-profile dramas: Fox’s romantic survivor movie “The Mountain Between Us” (Metascore: 48), co-starring Kate Winslet, which topped out at $26 million domestic, and the rollickingly entertaining “Molly’s Game,” which garnered some awards buzz at Toronto and will hit the holiday market on December 25. Critics: Metascore: 74. Elba could use a boost for his strong performance as Bloom’s anxious defense lawyer from year-end critics’ groups. Support: It remains to be seen if STX Entertainment (“Bad Moms,” Chastain’s “Miss Sloane,” “Edge of Seventeen”) will be able to turn this commercial crowdpleaser into a bonafide Oscar contender. STX boasts one key asset: ex-Universal president Adam Fogelson, who knows how to market and release awards movies. The question will be how long and far he is willing to push for Oscars: Campaigns costs money. 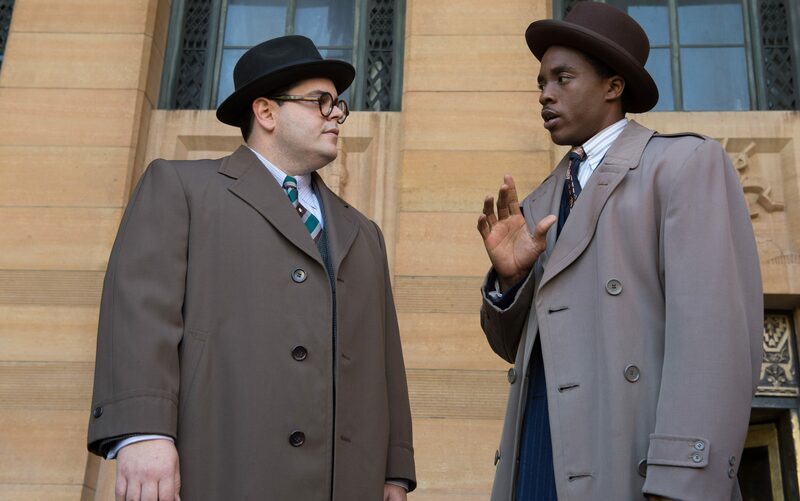 Marvel superhero Black Panther, who won raves playing real-life heroes James Brown and Jackie Robinson, is back in biopic mode with this origin myth about the charming and powerful young future Supreme Court Justice Thurgood Marshall. He is cocky and brilliant, but is forced to rely on an untested partner (Josh Gad) to present his case in court in front of a racist judge (James Cromwell). Other Oscar Chances: Supporting Actor. Marshall is defending a handsome chauffeur (Emmy-winner Sterling K. Brown), who is accused of molesting his employer’s wife (Kate Hudson). The actors are all excellent, but it’s going to be tough to make any impact on awards voters. Box Office: Open Road (“Spotlight”) launched the Reginald Hudlin (“House Party”) drama on October 13 to $3 million on over 800 screens; the grosses dropped by half on the second weekend. The film was unable to build sufficient momentum to stay in theaters for long. In a crowded market, a modest single isn’t enough to sustain an Oscar push. Critics: Metascore: 66. While reviews are respectable, the movie will need more critical support to gain any awards traction. Support: It’s hard to imagine why Open Road would throw good money after bad. The British “Star Wars” breakout is superb in this ensemble period movie, and carries it effortlessly and believably. 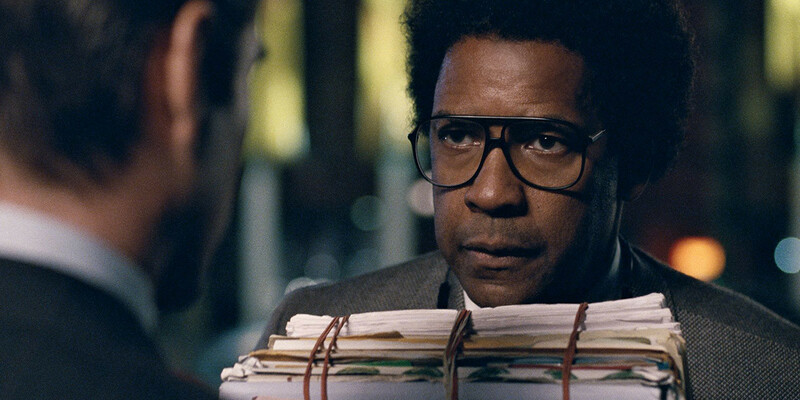 If the movie wasn’t tainted by failure, he’d have a shot in an open year for Best Actor. Whatever happens, Hollywood now knows that this guy is a movie star. 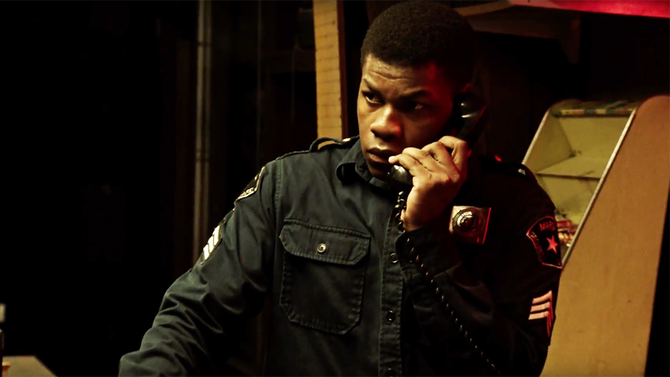 Box Office: From director Kathryn Bigelow and writer Mark Boal, the Oscar-winning team behind “The Hurt Locker” and “Zero Dark Thirty,” this intense recreation of the 1967 race riot in Detroit is a tough sit and demanded special handling from neophyte distributor Annapurna, which harbored high hopes for their first release. The movie opened well in 20 theaters in late July — timed to the riots’ exact date 50 years ago — but collapsed when it boldly went wide to 2,800 screens the following weekend. (It topped out at $16.8 million domestic.) “Detroit” could have used a boost from the fall film festivals if Annapurna wanted to make this work for the long awards haul. Now billionaire Megan Ellison’s distributor is rereleasing the drama at great expense for Oscar contention. But it’s hard to recover from such a loss. Critics: Metascore: 78 The movie needs support from year-end critics’ groups. Support: Annapurna is willing to spend to gain traction for awards. “Nightcrawler” auteur Dan Gilroy wrote this densely plotted legal drama for Washington, who creates a memorably colorful lawyer out of sync with his time. Last year’s “Fences” nominee is admired; he’s racked up seven acting Oscar nominations and two wins (“Glory” and “Training Day”), and in a weak Best Actor race, could squeak in with this showy over-the-top performance. Box Office Potential: Gilroy went back into the editing room with Washington after a mixed reaction from critics at the Toronto Film Festival. Critics could come around and support this character study at release. Support: Sony will do what it takes to push this star vehicle.